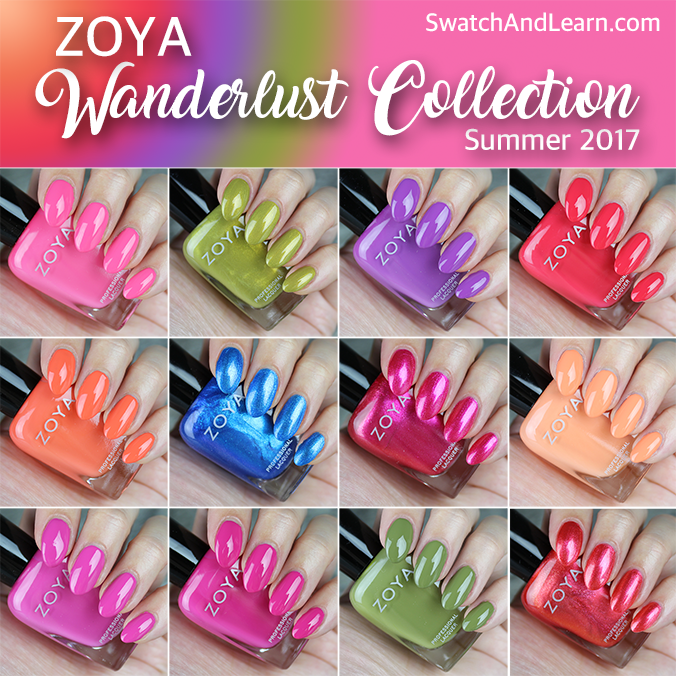 The Zoya Wanderlust Collection for Summer 2017 consists of 12 colours that make this little one’s heart race fast like a nail NASCAR driver! Full of sizzling personality, the remaining polishes are shimmers that are fun to look at when you move your fingers around and admire your manicure like a vain polish peacock. For all the swatches in this post, I used two coats of nail polish and no top coat, so you could see the original finish and shine that each one has. With a glossy top coat, however, you’ll add even more brilliance and extend your manicure mileage, of course. 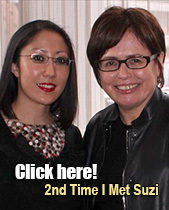 The cremes covered the best, and I was able to achieve full opacity at the two-coat mark. For the shimmers, you could get away with full coverage if you use medium coats. Alternatively, you could apply three thin coats, if you don’t want to see the nail line. I was happy with two coats. My instant favourites from the Zoya Wanderlust Collection are the greens. 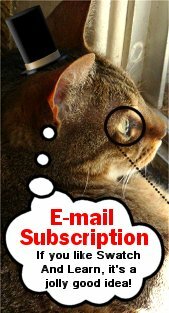 No surprise there for my regular readers! Green continues to wrap me around its little finger, as I paint it on all of my nails. The others are also gorgeous, and if you’re just starting your collection, they’re wonderful ones to add to it. Did you pick up any of these? Which are your favourites? If you could add an extra colour to the Zoya Wanderlust Collection, what would it be? See the rest of this post for a closer look at all twelve colours, as well as the official press release that gives you the colour story and more details. This entry was posted in Nail Polish Swatches & Reviews, Press Releases & Promo Pics, Product Reviews, Quick Look and tagged Zoya, Zoya Arbor, Zoya Byrdie, Zoya Cora, Zoya Esty, Zoya Journey, Zoya Lois, Zoya Mandy, Zoya River, Zoya Sawyer, Zoya Scout, Zoya Sonja, Zoya Wanderlust, Zoya Winnie on July 20, 2017 by Mary S..